Don’t miss MS-Thermo-Feet for a feeling that’s unreal! Brrrrhh… Fed up of the chill when you get into the swimming pool? Wish you could have that tropical feel in your local baths? Try MS-Thermo-Feet for a surprise rush of heat to your toes. Get into the chilly water and feel your feet warm up rather than cool down. It’s magic! *Sensation guaranteed to last for the first 20 minutes. **Terms and conditions apply. *Or it might last for hours. Care when walking is advised. ** MS-Thermo-Feet might activate in the middle of the night, when you’re warm enough already. This is a natural product and some loss of sleep should be expected. **If MS-Thermo Feet become uncomfortably warm, expose to air and put up with it. **MS-Thermo-Feet may cause balance problems, fatigue and bladder urgency. No liability accepted. All rights waived. **If MS-Thermo-Feet fail to heat, wait an unspecified period of time and it will happen again. When you least expect it. If you like a sensation that’s almost impossible to explain, why not buy the bundle? MS-Sandy-Feet – walk along the beach forever, with the non-stop sensation of **sand between your toes. Make mine a Pina Colada! ** soft, fine sand sensation not guaranteed. 50% likelihood of damp shingle. MS-Vibro-Feet – feel like a bit of a buzz? Forget the reflexology and try this envigorating **tingle between the toes. **vibration might feel like a mobile phone on silent, persisting for hours while it works it’s way up your legs. I tried and failed to put a throw on our sofa this evening. It is an (make ?) which we have been planning to tart up with seat covers for, oh about five years. The cover is a heavy cotton double bedspread, which had just had its biannual wash to remove the cat hair. Could I fold it in half and tuck around the cushions? Could I heck. It behaved as though it was slippery, in my hands. This corner to that corner – simple enough but I couldn’t make it work. I could get the corners together but then had no idea how to control the rest of it. It should have just happened – I have been folding things for years now (honest mum) and the muscle memory should be strong – but there was an infuriating gap between what I wanted to happen and how I could achieve it. I felt like a four-year-old having a go at putting a cloth on the table for teddy’s tea party. I realise that i’m not being ‘silly’ and just can’t work it out. Going for the ‘this will have to do approach’ – I dropped it on and asked Ben to do it for me. I know what tidy looks like (honest mum, I have changed). Our minds are very clever – it’s like magic, all the things they allow us to do without realising quite how we did it. Treasure those domestic chores. They are all things you have learnt to do and can do without conscious thought. It is like being a virtuoso pianist or professional footballer – why the hell not? I am learning new habits – to slow down and pay close and constant attention. Say the names of the items as I load and unload the dishwasher to help them go in the right place. And never have a brilliant idea or satisfying realisation when holding glassware or crockery – the brain surge will direct attention to that rather than my hands. Crash! Tinkle! Mindfulness is great – but it doesn’t help with the sofa cover. It is trivial task -but the trivial tasks not achieved are those that build up the most frustration and negative thinking. I could do it (though admittedly mum, probably never brilliantly). For now, I can’t. The ECG nurse won’t let you leave the room if anything is up. 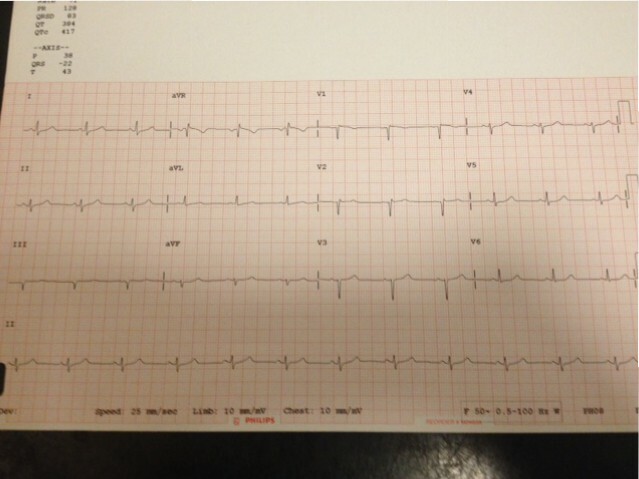 The ECG was slotted into my ‘group education’ morning about fingolimod, the new MS drug I’m in the running for. And education it was: we got facts, gave details and will have to pass blood, heart and eye tests to get onto this second-line disease modifying treatment. The six of us waited for nurses, bloods, our ECGs – very quick once the machine was fixed – and then for the 1-2-1 medical history check where I realise there are lots of things I haven’t got wrong with me. Fingolimod (trade name Gilenya) modulates your immune system by keeping your T-cells ( a type of white blood cell) trapped in your lymph nodes, where they can’t vault the blood-brain barrier and attack the myelin that coats your nerves. The plus points? 70% reduction in relapses, slower disability progression, a daily pill rather than injections, no regular flu-like side effects. Big thumbs up. It is ‘immunomodulation, not immunosupression’ we were reassured. It was not like aggressive chemotherapy. I nodded politely at the time but my comfort came from trust in the MS nurse, rather than really ‘getting it’. At least we weren’t alone – sharing the experience always helps, you get to share stories of subtle symptoms, relapses and steroids. How we laughed! We did actually, quite a lot. So now we wait some more. I need an eye check because I’ve had uveitis, and there’s a risk that… but if that’s ok, and my blood is ok, then I should get my first dose in June. And that has to be followed by 6 hours on an ECG machine, with constant monitoring by a cardiac nurse in person and a cardiologist remotely. That’s because fingolimod slows your heart rate down on the first dose and there’s a risk that…. oh never mind, you get the picture.